Mostly sunny, grassy 30 amp and water tent site located on the small creek. It is convenient to the store bath house and pool. 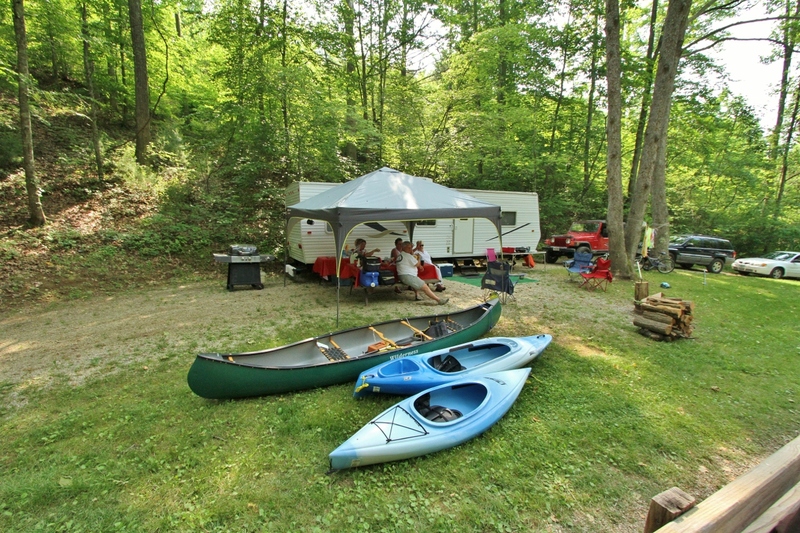 Families and groups sometimes rent the entire section and they use this site for campers as well. Floating the James River is a great way to spend a leisurely summer day.